Jaboc Myers, a German, left Richmond, Virginia on October 3, 1782, for the western wilderness in search for iron metal. 1 Myers soon found what he was after and had nearly 10,000 acres surveyed and patented in 1782 along Slate and Mill creeks (in today’s Bath County, Kentucky). The lands were conveyed to Myers under grants signed by Patrick Henry, the Governor of Virginia. 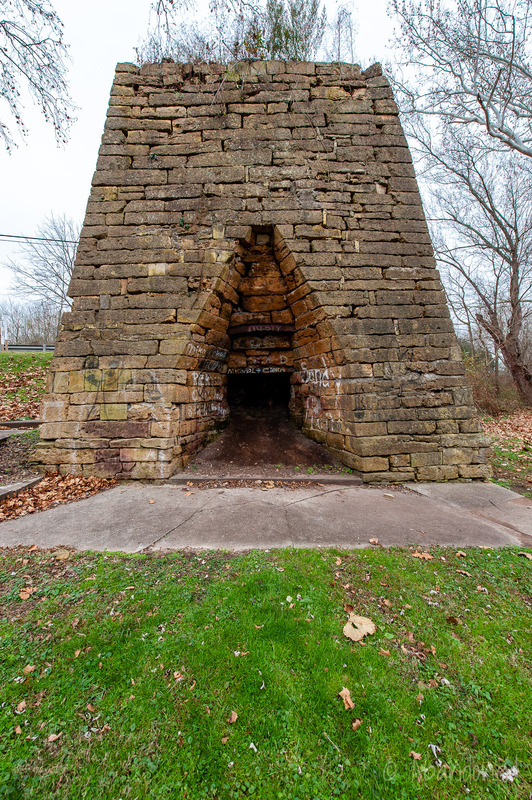 Myers began construction of Slate Furnace, the first iron furnace west of the Allegheny Mountains, in March 1791 to smelt iron ore from local deposits. 1 The original purpose was to cast ten-gallon kettles, which were in great demand by the early pioneers. The kettles allowed water to evaporate from the salt springs for salt, and to boil the sap of maple trees for sugar. The blast machinery was driven by water power from Slate Creek, and an initial blast was made in the summer. Dry spells, however, caused the creek to nearly dry up in the summer. 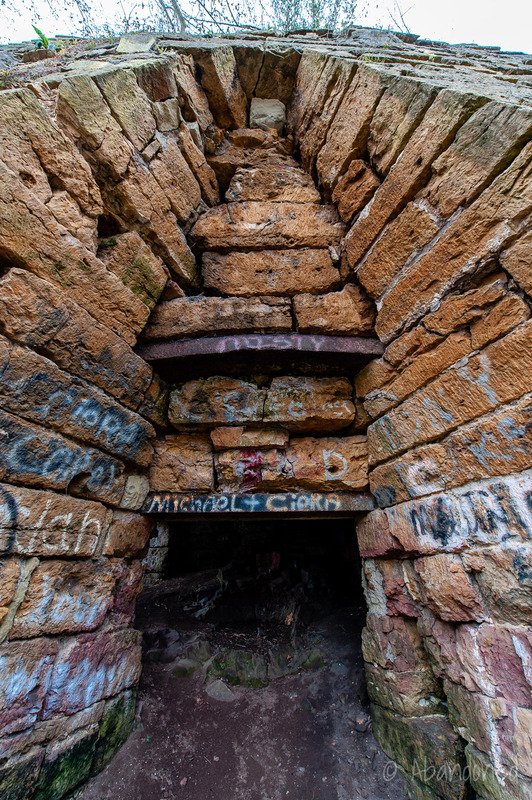 A fort was built to protect the furnace from the Native Americans. 2 A trail, Iron Works Road, was constructed from Owingsville west through Mount Sterling, Winchester, and Paris, ending at Frankfort on the Kentucky River. 1 The trail opened up Slate Furnace to new delivery markets. The iron could be hauled down the Ohio River to Louisville and Cincinnati. In 1807, Colonel Thomas Deye Owings was contracted to supply cannon balls to the American Navy. 1 2 Ammunition was brought to Maysville via oxcart and then floated down the Ohio and Mississippi rivers. During the War of 1812, the Bourbon Iron Furnace supplied the Army Corps of Artillery with cannonballs, grapeshot, and canisters. Much of the product was floated down the Ohio and Mississippi rivers to New Orleans. Myers’ interest was sold to John C. Owings & Company. 2 In 1822, Owings sold the furnace to Robert Wickliffe who then sold it to Major Mason. 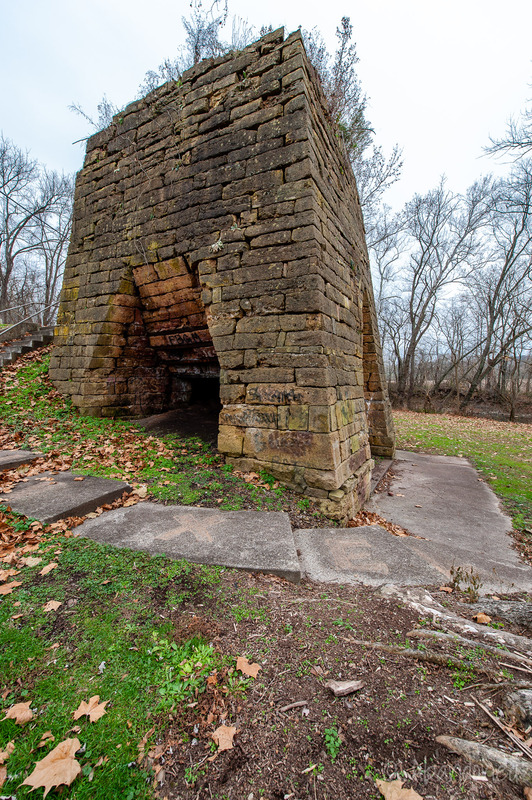 “The Early Iron Furnaces.” Forest History. N.p., 7 Apr. 2010. Web. 1 Dec. 2014. Article.